So you have decided to film your event and create video to use online, that’s a great start but have you considered what you will do with the video once it’s created? According to Mist Media, hosting video on your site’s landing page makes it 53% more likely to show on the front page of Google search. 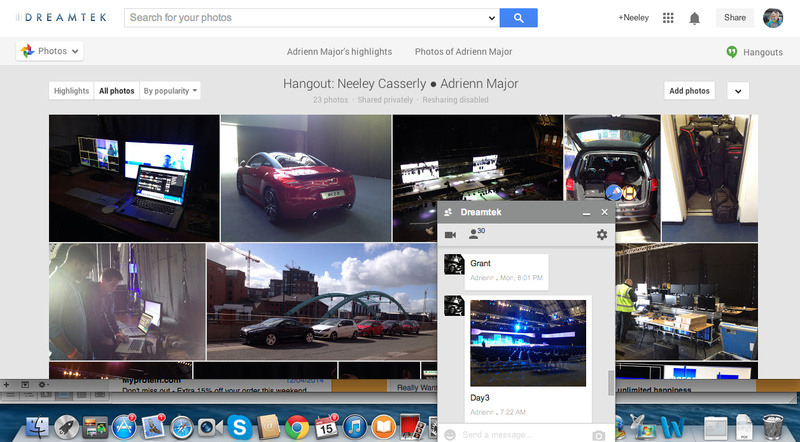 Google+ Hangouts allows users across the world to video chat, collaborate, and share with ease. There are a lot of features packed into the Hangouts application, at Dreamtek we have been using Google+ Hangouts internally and providing managed Google+ Hangout services and products to customers from the initial launch. As a business with office locations in London, Hampshire, UAE, US, India and Bath our staff are in different time zones and locations or on the move. The challenge we face is how to keep the lines of communication open to everyone and create a team environment so that employees can collaborate and share information.